We request you to carefully read through these Terms and Conditions. Thank you for your confidence in Polka Dot Cycling. 1.1) The contracting parties are the customer – who has to be of age of 18 years – and Polka Dot Miha Kofjač s.p., (henceforth Polka Dot Cycling). Polka Dot Cycling undertakes to make the bicycle booked in advance / described on the rental form available to the customer, together with all other rental equipment (in conjunction referred to as ‘the rented item’), for the period of validity of the contract, ensuring that they are in an usable state and comply with road safety regulations. The customer undertakes to pay the total rental price at the moment of signing the contract to enter into the contract. 1.2) The rental relationship for the rented item shall last for a specific period of time. Rental day period starts at 9 am and ends at 5 pm. More than a day rentals or week(s) rentals can be agreed with Polka Dot Cycling. For all rented items a prior booking is recommendable. 1.3) The rented items must be picked up at/brought back to Polka Dot Cycling service van (agreed upon the reservation) or Polka Dot Cycling address (Cesta na polju 4, 1360 Vrhnika, Slovenia). 1.4) If the customer fails to return the rented items to Polka Dot Cycling within the agreed rental period, even for reasons beyond his/her control, Polka Dot Cycling shall be entitled to demand remuneration. 1.5) If delivery / pick up of rented items is accorded between Polka Dot Cycling and the customer, so the rented items will be delivered / picked up on time and date according to the previous booking. The customer has to give clear information about the meeting point and place to deliver / pick up the rented items and provide with a functional mobile number. 1.6) All the changes of the rental contract must be notified by the customer to Polka Dot Cycling and re-confirmed by Polka Dot Cycling. Any delays on delivery or pick up of the rented items will result an additional charge to the customer if it is without previous notification to Polka Dot Cycling about the changes (time, hire period, meeting point etc.) of delivery / pick up service than previously accorded between Polka Dot Cycling and customer. 1.7) Exceptional circumstances or force majeure could lead to delay of delivery to the customer or pick up of the rented items from the customer through Polka Dot Cycling. In such cases Polka Dot Cycling will always notify the customer about the changes. 1.8) All rented items are presented in immaculate working order set up by professional mechanics of Polka Dot Cycling, and, whilst Polka Dot Cycling accept general wear and tear during hire, any bicycle returned with excessive cleaning requirement will result in a 5€ charge to the customer. 1.9) The rented items should only be used by the designated customer and the members of his/her party as mentioned in the rental contract. The customer undertakes to use the rented items – and in particular the bicycle – with all due care and propriety to observe road safety regulations. Customers are forbidden to use rented bicycle under the influence of alcohol or drugs. Customers are not allowed to carry passengers or modify or alter the rented item in any way. Customer may fit additional equipment onto rented items – according to previous communication to Polka Dot Cycling – being liable for all related risks. 1.10) All rented items must be returned to Polka Dot Cycling service van or to representative of Polka Dot Cycling, identified with the copy of original contract form. 2.1) All rented item reservations must be done in advance with enough time to confirm availability, at least 24h in advance. For all reservations, a prepayment of 20€ per bicycle must be paid by customer via the payment gateways offered by Polka Dot Cycling bike2malaga. In case of prepayment per bank transfer the customer is responsible for any bank transfer fees (if applied by customer’s bank). 2.2) If the customer requires a bicycle and equipment on the same day or less than 24h in advance, so it is possible to pass by the Polka Dot Cycling representative, to call or to send an email to info@polkadot.si. 2.3) The rented items must be paid in full settled amount by signing the rental contract. Accepted methods of payment: Credit or Debit card (MasterCard or Visa), cash (EUR), prior bank transfer, PayPal. 2.4) The customer must read, accept and sign the rental agreements. The customer will be asked for original passport or personal ID along with original credit card as a guarantee deposit for the rented equipment. The deposit of 300€ per bicycle (E-Bikes, Road Bikes and MTB Fully) must be left through the Credit Card (MasterCard or Visa) or by cash in EUR. The deposit will be refunded if the rented item is returned in the same condition as it was procured. There is no entitlement for refund until the end of the leasing contract. 3.1) The customer accepts the charges for any missing or broken rented items at market prices at the end of the rental period accorded in contract. If the missing or broken rented items exceed the deposit amount, the customer must settle the balance. 3.2). Cancellations without charge are only admitted 14 working days before the rental date. Cancellations made within 14 working days will be charged in the amount of prepayment of bicycles and equipment. No shows would be charged in full, and considered non‐refundable. Exceptions to this policy cannot be made for any reason. 3.3). Polka Dot Cycling does not refund for cancelations within 14 working days or early return of rented items. Polka Dot Cycling cannot be made responsible for the customers personal circumstances, sicknesses, weather conditions or any other event of force majeure. Customer accepts that no refunds would be made for any of the above reasons without any exceptions. 3.4) The customer is obliged to make provision for the protection of rented items, as well as the protection from loss and theft. In case of theft or loss during the rental period, customer has to bear all the costs for the reconditioning at market prices. From the moment of signing the contract and receiving a rented item, the customer is fully responsible for the rented items. 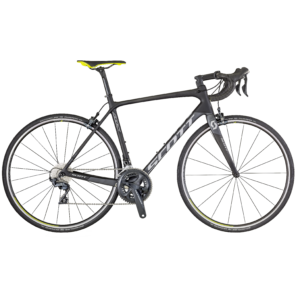 3.5) In case of theft or loss of rented bicycles, Polka Dot Cycling applies a charge of minimum: 2300€ per Carbon Road Bike, MTB Fully and all types of E-Bikes. 3.6) If the rented item is found after it was stolen, Polka Dot Cycling will contact the customer. The customer will decide about the procedure of the found items. 3.7) Polka Dot Cycling recommends always to pay attention to rented items during all rental period and take care specially by rentals over night. Polka Dot Cycling strongly recommends not to leave the rented bicycles and items unattended at any time on the streets. Even by providing a lock, Polka Dot Cycling cannot be made responsible for any theft or loss of bicycles and equipment. 3.8) Polka Dot Cycling recommends to sign a Travel Insurance on duty of customer that covers rented items against loss, theft & damages. In case of theft or damage, Polka Dot Cycling will do the best and cooperate with clients insurance. 4.1) Small reparations on rented items as punctures are on duty of the customer, as Polka Dot Cycling provides a saddle bag with all necessary parts (spare inner tube, repair tool kit, lifters, small pump). For all other repairs on rented items during the hiring period, the customer has to bring rented items to Polka Dot Cycling service van, where the mechanics of Polka Dot Cycling will intent to repair the rented items as fast as possible. 4.2) If the hire contract is signed outside of Polka Dot Cycling service van (in case of delivery of rented items to customers hotel, accommodation or given address), and damages occur to the rented items, so Polka Dot Cycling has to apply a service charge of transportation and mechanical support to the customer by replacing / repairing the rented items – always on previous communication to the customer about the amount of service charge. Polka Dot Cycling does not assume repair costs made in other workshops, unless this was accorded by previous communication and re-confirmed by Polka Dot Cycling. 4.3) Polka Dot Cycling will do the best to satisfy the needs of customers, but there is no obligation for Polka Dot Cycling to insure the technical support out of Polka Dot Cycling shop. 5.1) Polka Dot Cycling has third party liability insurance coverage of the bicycle rental activity. Polka Dot Cycling is not responsible for injury or damages caused to/by the client during the rental period. 5.2) The customer is responsible for adequate personal insurance coverage for risks that may occur during the rental period. Polka Dot Cycling is not liable for any claims for body injury or harm, accidents or loss of personal belonging caused by weather, sickness, persons, cars or any other causes and causers. 5.3) The customer must respect Slovenian Spanish traffic regulations. Any ticket or fine due to incorrect use of the bicycle will be completely assumed by the customer. 5.4) All the information provided by customer to Polka Dot Cycling is protected by the law of the European General Data Protection Regulation regarding the protection of personal data. 5.5) The provisions of this contract shall be governed by Slovenian law. For all disputes derived from this contract or relating to it, the jurisdiction shall be Ljubljana, Slovenia.